Next comes the hard prep work on the beds for the winter crops. I’ll be shovelling compost and mulch to get ready for planting the peas, spinach, kale, silver beet, lettuces, broad beans, onions, garlic and carrots. 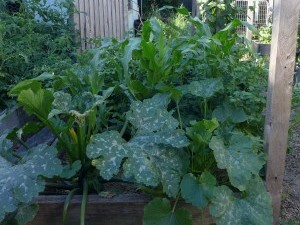 I love my fruit and veggie garden. 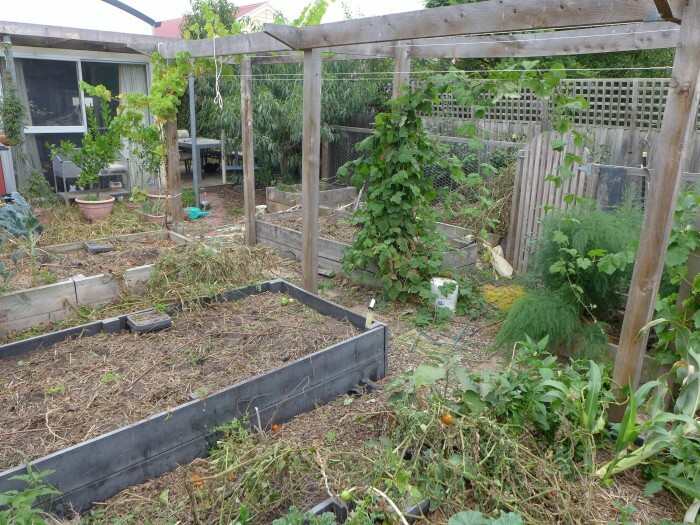 It was once a normal, lawn and shrub backyard, but when I was recuperating for six weeks after an operation four years ago, I started making plans for a productive fruit and vegetable garden. It has 5 large and 2 small raised beds as well as an arbour for grape vines and berries and espaliered, mostly dwarf, fruit trees. In summer I eat almost exclusively from the garden. I have three chickens in my garden. 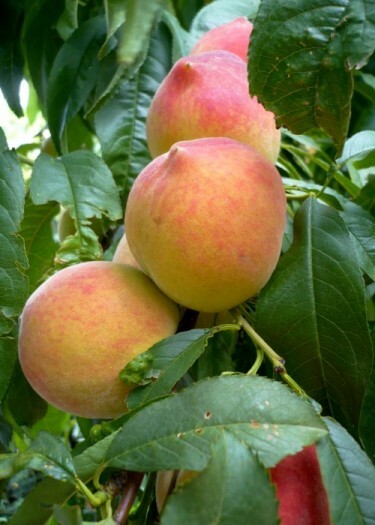 They have a large run at the back and two long narrower ones down each side under the apple, pear, cherry, quince, avocado and apricot trees, a rampant passionfruit vine and a large peach tree. In case you’re wondering, I had the chickens before I was vegan, no I don’t eat the eggs, I give them to non-vegan neighbours and friends who would otherwise buy allegedly ‘free range’ eggs. 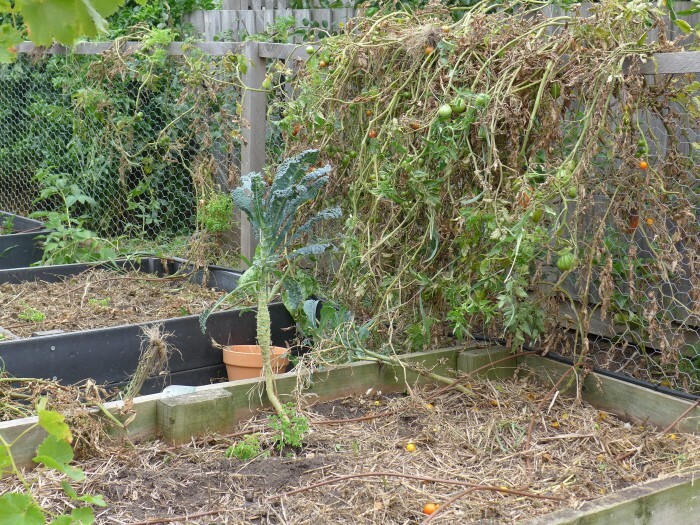 My neighbours bring around their food scraps and other treats for them and the closest ones toss their weeds over the fence. I think the girls live pretty happy lives. 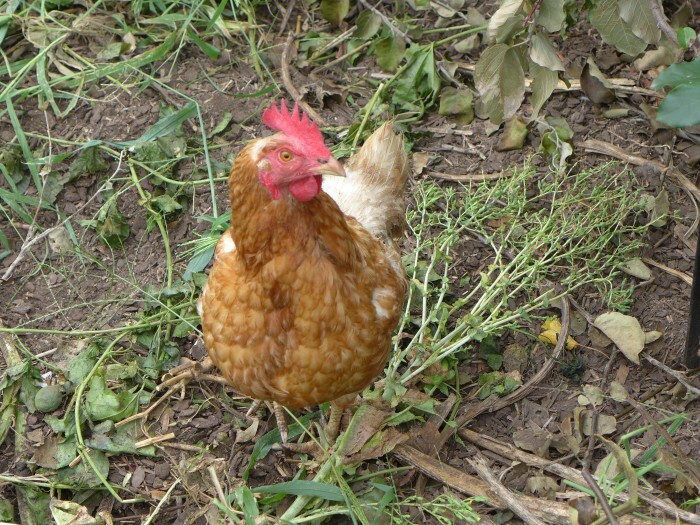 I can’t imagine the garden without them, and when they pass on I know I’ll be getting some rescue hens. They’re a highlight of my small bit of the street, with kids from across the road visiting to see them, and my neighbours enjoying the sounds they make. This time of year is probably the girls’ favourite. 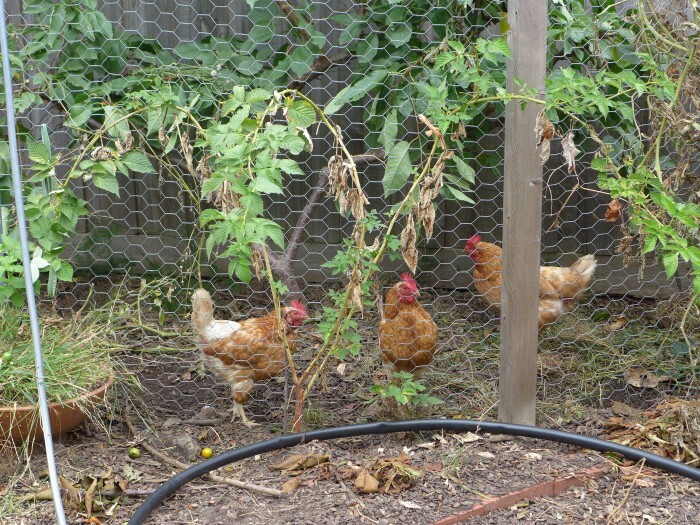 All that soil activity and weeding provides lots of interest and excitement for Blanche, Betty and Beryl. They’re enormously helpful. I love the excited sounds they make while they are industriously scratching the soil and calling out. 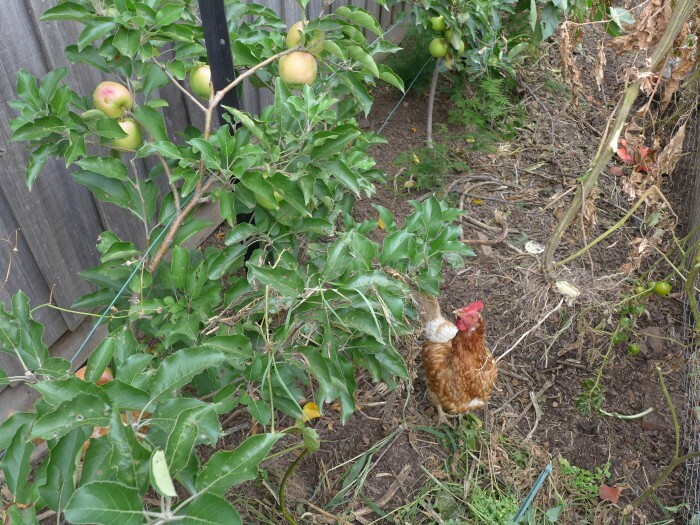 Here are some photos of the garden and the girls. Here is the garden in its summer glory…something to look forward to! 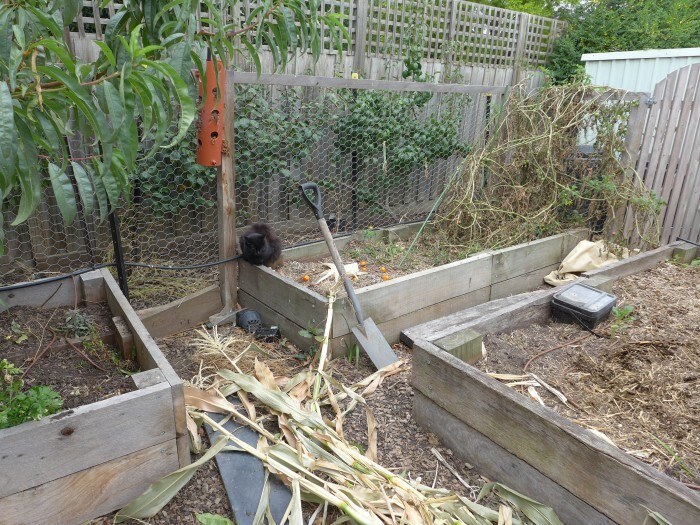 Hey Rosalie, great to see pics of your very productive garden, very inspiring. Yes I love reading yours. Your garden setup looks interesting.